Before a creditor garnishes your wages, you may or may not receive advance notice. Perhaps you have been receiving letters and phone calls demanding payment. Perhaps your creditor has turned your account over to a collection agency. Perhaps you have received legal documents in the mail that indicate that a lawsuit has been filed aimed at collecting on your debt. 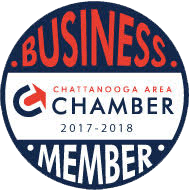 Wagner & Wagner Attorneys at Law has been home to Chattanooga’s trusted bankruptcy lawyers since 1945. We help our clients find relief from debts, and fight to protect them under the laws of the land. If aggressive creditors have started taking money directly from your paychecks, we can help. Why are my wages being garnished by creditors? Once the creditor has obtained a judgment against you, that creditor has the right and ability to seize your assets, including by way of your paycheck. Wage garnishment is one of the ways that a creditor can recover assets from a reneging debtor. For many people, the loss of even one paycheck spells financial disaster. For this reason, we hope you have arrived at this web page before losing any of your hard-earned wages to a creditor’s snare. Ideally, you will discuss your financial troubles with a bankruptcy lawyer well in advance of the jolting experience of discovering that your wages have been garnished. Most people with cash flow problems experience serious disruption to their lives when wage garnishment occurs. If your wages have been garnished, you now face a legal and financial crisis and you should definitely talk to a debt relief attorney as soon as possible. 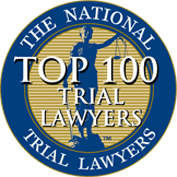 Do not worry yet about “how you will pay for bankruptcy.” Maybe you are unsure whether bankruptcy is the right answer in your case — talk to a bankruptcy attorney anyway! Get the information and encouragement that you need now to prevent further garnishment of your wages. When you are living paycheck to paycheck – and even when you are not – losing any amount of wages can do serious harm to your family. At Wagner & Wagner Attorneys at Law, we help people who are ready to help themselves. Please call 423-799-3532 or contact our Chattanooga bankruptcy attorneys, and put a stop to wage garnishment. Attorneys at our law firm offer free initial consultations. 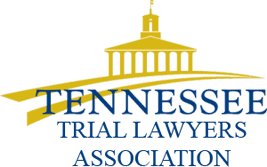 We proudly serve clients in North Georgia, Cleveland, TN, and the surrounding areas.